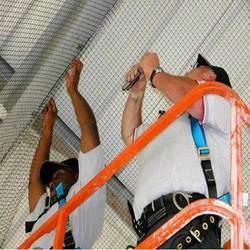 We are a leading Wholesale Trader of bird control service from Mumbai, India. We have established ourselves as one of the leading enterprises actively committed to providing Pigeon Control Service to our valuable clients. The offered service is highly applauded among our valuable clients for its promptness and reliability. The provided service is rendered as per the needs of our valuable clients. In this service our highly skilled professionals using optimum quality tools and techniques. Moreover, our clients can avail this service from us at the moderate price. Looking for Bird Control Service ?